Wang, C., Ross, A. *, & Kavita, A. (2017, August). 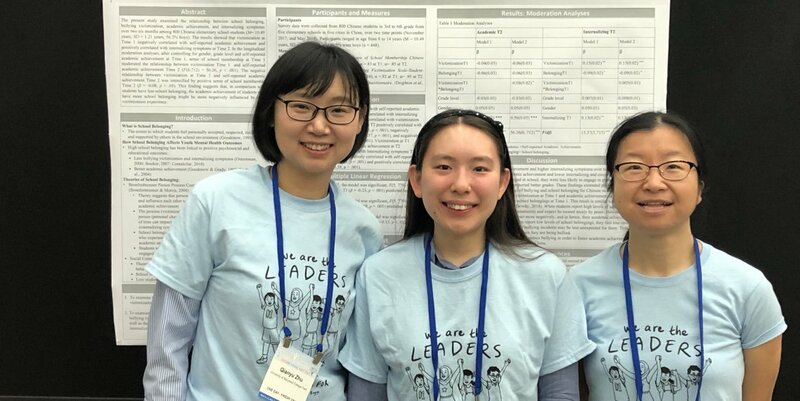 Covitality, school climate, and bullying victimization among elementary school students in China.Paper presented at the American Psychological Association annual convention, Washington DC. Ross, A. *, Wang, W.*, & Wang, C. (2017, August). 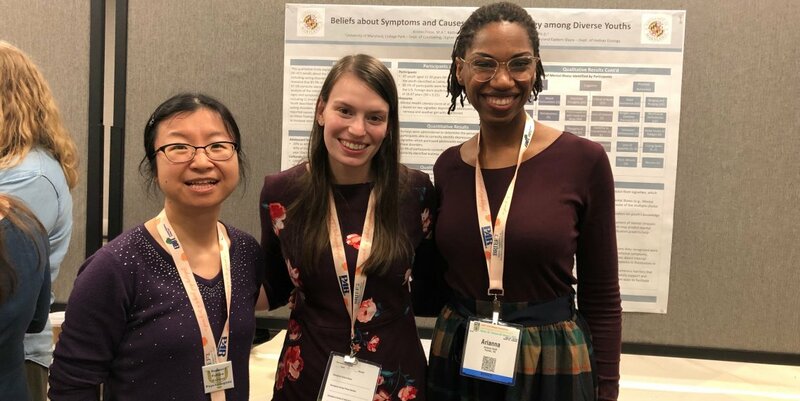 Longitudinal relationships between covitality and victimization among Chinese students.Poster presented at the American Psychological Association annual convention, Washington DC. Frese, K.*, Do, K. A.†, Barlis, J. *, & Wang, C. (2017, August). School-based mental health literacy and help-seeking in minority parents. Poster presented at the American Psychological Association annual convention, Washington DC. Do, K. A.†, Wang, C., Barlis, J. *, Ross, A. *, & Frese, K.*(2017, June). 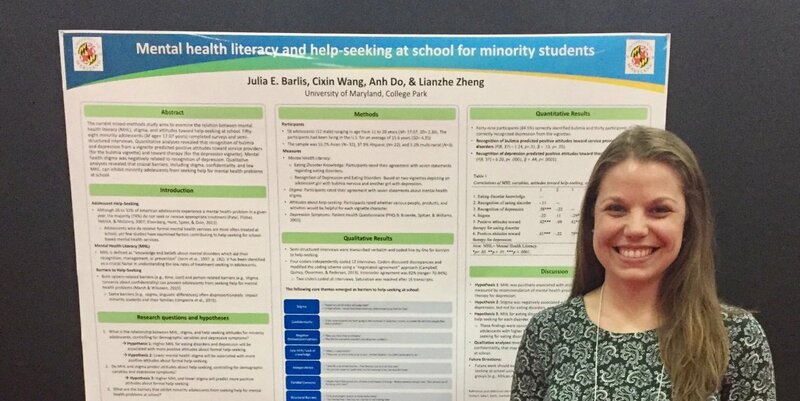 Mental health literacy and barriers to help-seeking from the perspectives of students, parents and teachers.Poster presented at Journal of Clinical Child and Adolescent Psychology (JCCAP) Future Directions Forum, College Park, MD. Wang, C., & Ross, A. M.*(2017, June). Bullying, academic achievement, and depression: Examining the mediating and moderating role of covitality. Poster presented at Journal of Clinical Child and Adolescent Psychology (JCCAP) Future Directions Forum, College Park, MD. Do, K.A.†, Frese, K.*, & Wang, C.(2017). 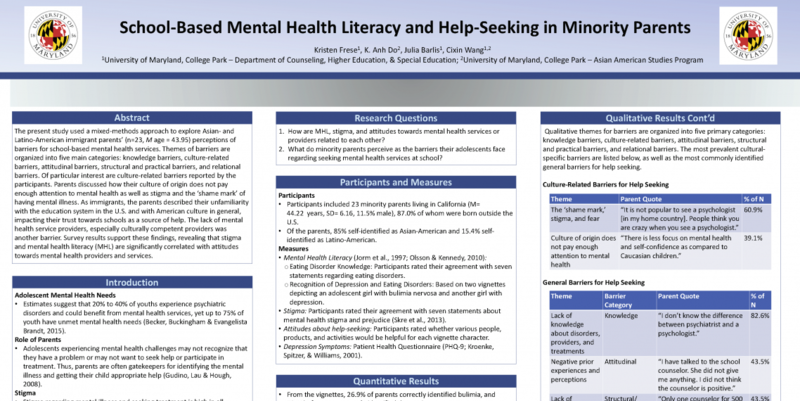 Immigrant parents’ knowledge about adolescent mental health and perceived barriers for school-based mental health services.Poster presented at Social Justice Day at University of Maryland, College Park, MD. Frese, K.*, Do, K. A.†, Barlis, J. *, Ross, A. *, Wang, W.*, Zheng, L.*, & Wang, C.(2017, April). Mental health literacy and perceived barriers for school-based mental health services among immigrant parents. Poster presentation at the fifth annual Public Health Research @ Maryland, College Park, MD. Barlis, J. *, Do, K. A.†, Zheng, L.*, Alami, S.*, & Wang, C. (2017, February). 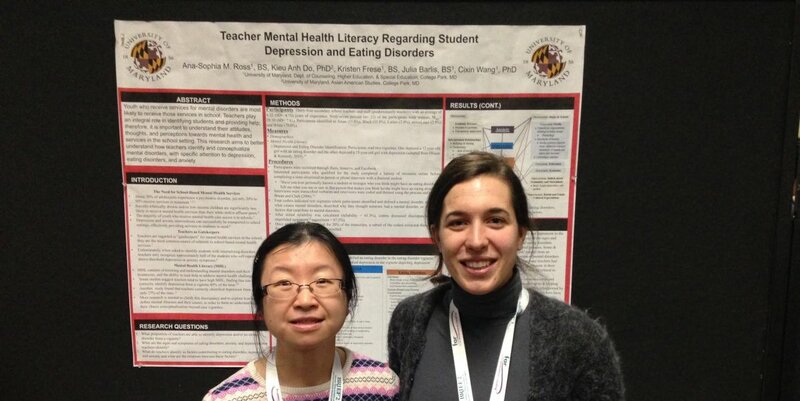 Minority students’ mental health literacy and help-seeking at school. Poster presented at the annual conference of the National Association of School Psychologists, San Antonio, TX.